Each room has its own access code, which shall be exclusively yours for the duration of your stay. Inside each bedroom you shall find two single beds, which can be zipped together to make an extra-large king-size. A private en-suite with a toilet, basin, and shower are also found in each room. Fresh towels and linen are included at no extra cost. There are plenty of storage options available with a wardrobe, chest of drawers, and a bedside cabinet found in every room. 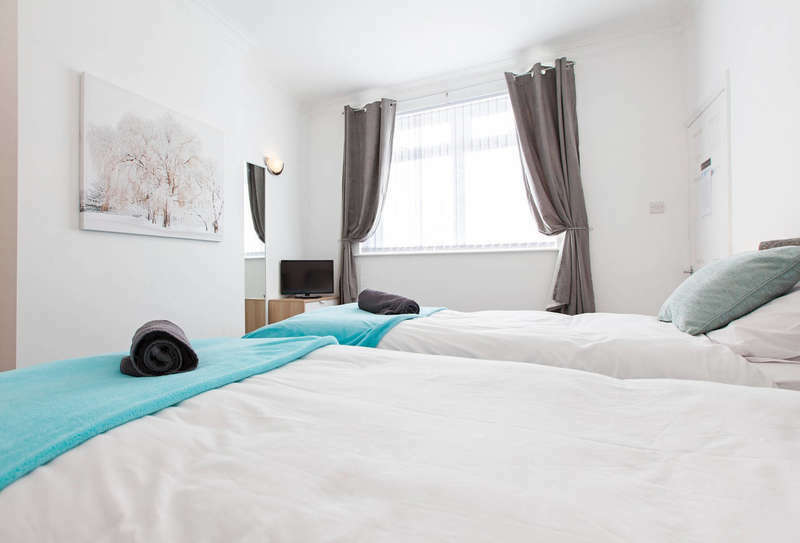 Each bedroom has been thoughtfully designed to be as homely and cozy as possible, with large blankets and cushions, an LCD TV, and tea & coffee making facilities as standard. 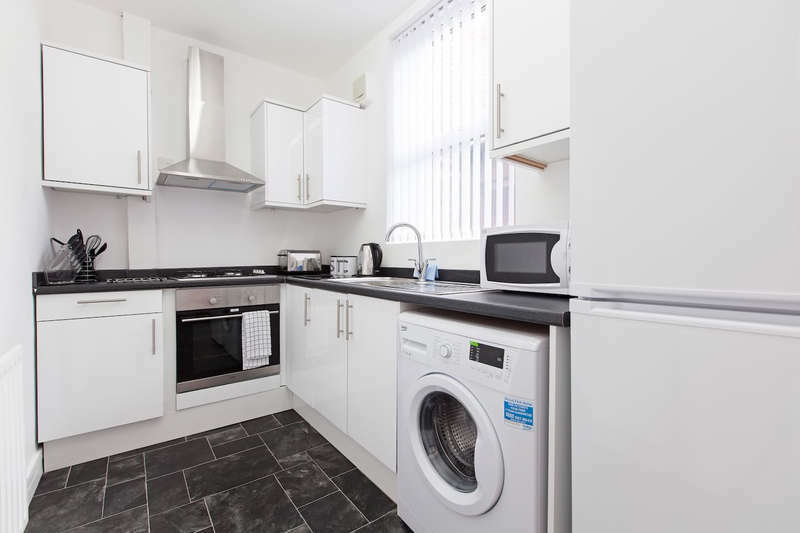 A large shared kitchen is also available for use by all guests at the property, which provides all of the utensils and crockery required to make delicious meals. A small shopping centre can be found just along the road to buy any food or ingredients you may require. 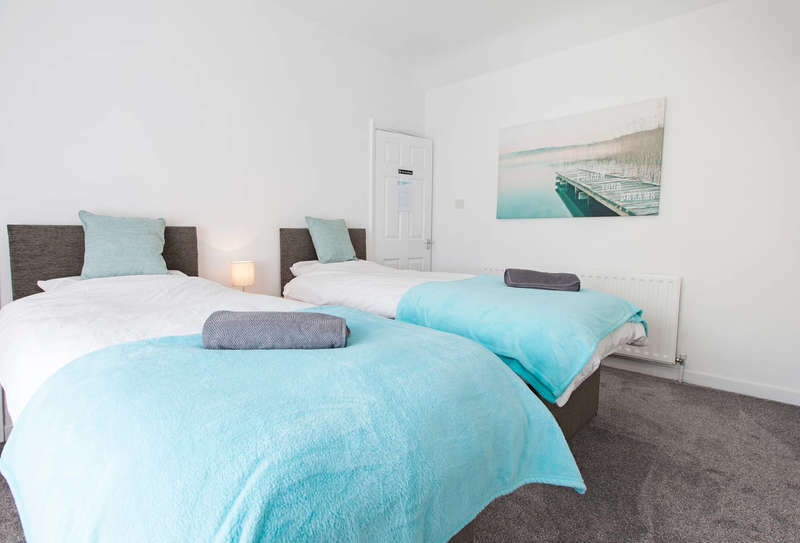 Greenacre House is booked on a room-by-room basis, meaning you may see other guests in the communal kitchen or passing by. Keys are provided via an external key-safe for which you shall be given a code for.